Wednesday, March 27, 2019 - This lady couldn’t believe that she was finally wedding the love of her life from her crazy reaction. 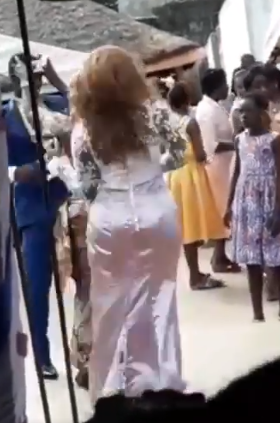 After exchanging vows, the bride was over the moon and at some point she pulled off her wig while getting down. You will not help but find yourself smiling while watching this video. This is how pure unadulterated joy looks like. Not even her wig could stop her from seizing the moment.